The CultFit gym I go to held an essay competition. The prompt: 1. Why do you attend CrossFit? 2. 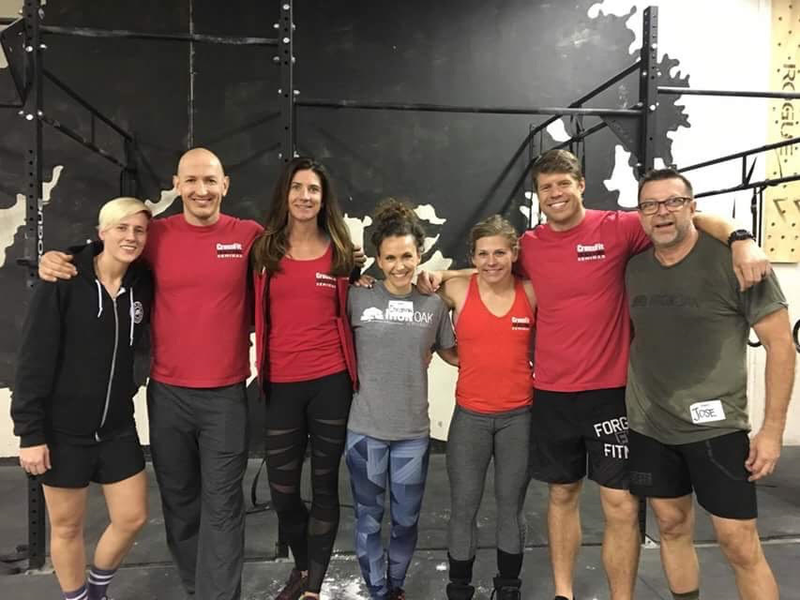 Why you would like to attend the CrossFit Level 1 Certificate Course? 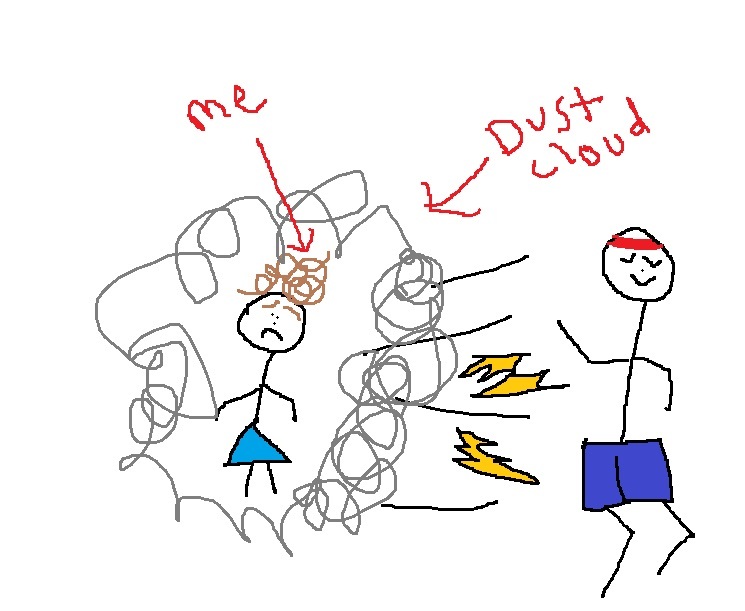 I actually wanted to attend the course, so not only did I write an essay, I included illustrations for good measure. It’s hosted by the fancy CrossFit corporate people who look like gladiators, and if you pass the test you get to say you’re a CrossFit Level 1 Trainer and act all obnoxious around your friends. I realize when y’all receive my email, a group text amongst the owners will begin with, “Christina Ledbetter just sent us an essay to get her Level 1 cert! HAAAAAA!” and then everybody will laugh so hard they pee on the warm-up mats. But hear me out! When Benson and I first decided to join CrossFit, it was for a very practical purpose. He was working some nasty long hours, and we needed to find a way to spend more time together. Working out together in the past had proven either impossible (think: Benson runs a four-minute mile and I run a – well, don’t even worry about it) . . .
. . . or frustrating (think: I insist on walking my bike across intersections rather than riding it). We sat on the couch one night and wondered – What about that CrossFit gym that just opened? We called. We on-ramped. We stayed. Here’s why. CrossFit has enabled us to have a shared activity, yet allows us to modify each workout for our specific abilities. 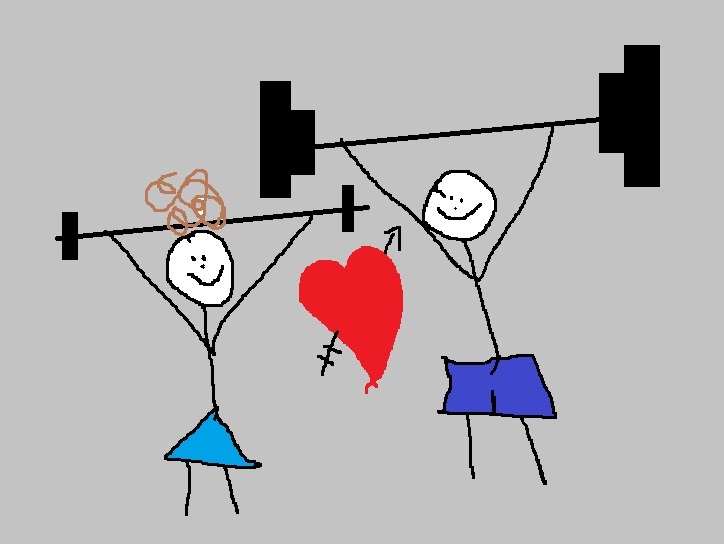 I met a girl at another gym once who claimed she didn’t want her husband to work out where she did, because the gym was her place, her friends. Her mindset saddened me, because CrossFit has been a marriage boost for us. Also, I believe weightlifting is important for my health. Remember when Oprah lost all that weight in the early 90s? Of course you don’t because y’all are too young. But I remember. And I remember her gaining it all back and she straight up said on her show she gained the weight back because she had not incorporated weight lifting into her exercise routine. If only Oprah had joined IOC . . .
Now then – why do I want to take the Level 1 seminar? I do CrossFit to stay in shape. I’m not necessarily here to get stronger or faster. Sometimes that happens, and it’s fun, but it’s not my goal. With that, I like to understand the why of what I’m doing. Before I attempted a butterfly pull-up, I made Erica explain to me why I should even do it. If it wasn’t going to improve my health, I didn’t need it. Attending the Level 1 Cert classes could help me understand more of the whys behind what goes on in the gym. If I understand the why behind something, I’m much more likely to do that something well. As an added perk, it would make me a slightly less annoying IOC member. Finally, should the occasion present itself someday, I think I would enjoy coaching. It would provide a mix of three things I already love doing: teaching, encouraging, and practicing hospitality. But even if none of this ever happens, I still think we go to the greatest CrossFit gym in all the land, and you guys are the best at what you do. Now go clean that pee off the stretching area. Here’s a picture of me and the gladiators and the two other essay winners from my gym. I care ZERO whether you do CrossFit. I only shared my essay because I’m famous and people like to read stuff that famous people write. I’m actually not famous (yet), but people really had asked about the essay. This is not a sponsored post. I actually had to ask my gym’s permission to post it, which is, like, the opposite of sponsored. You’re famous to me and I love reading your stuff! No wonder you won, genius. A good laugh to start my Hump Day! Love and miss you!